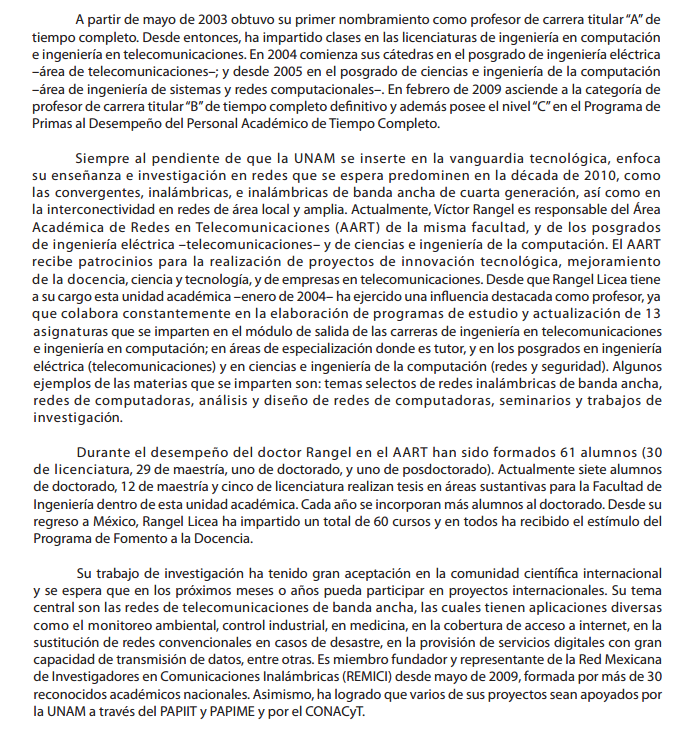 Victor Rangel received the B.Eng (Hons) degree in Computer Engineering at the Engineering Faculty from the National Autonomous University of Mexico (UNAM) in 1996, the M.Sc in Telematics at the University of Sheffield, U.K. in 1998, and the Ph.D. in performance analysis and traffic scheduling in cable networks in 2002, from the University of Sheffield. 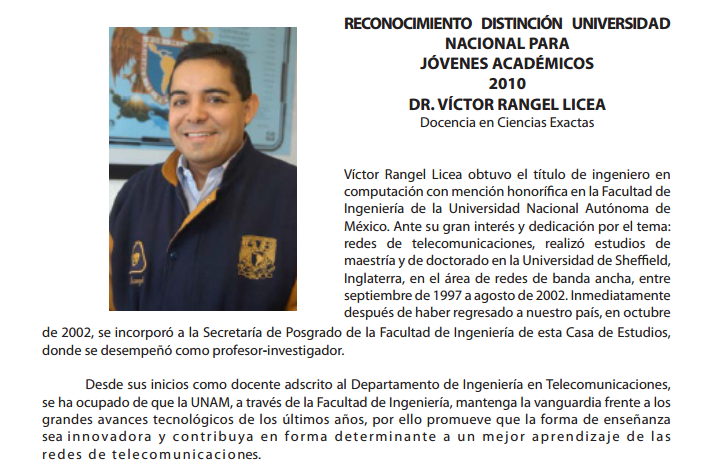 Since 2002, he has been with the School of Engineering, UNAM, where he is currently a Research-Professor in telecommunications networks. His research focuses on fixed, mesh and mobile broadband wireless access networks, QoS over IP, traffic shaping, scheduling, handoff procedures and performance optimization for IEEE 802.16 (wimax) based networks. He has published more than 40 research papers in JOURNALS and International Conferences, as well as directed more than 35 research master and bachelor Thesis. He currently has 1 Ph.D. student, one POSDOC student, and 8 master students. 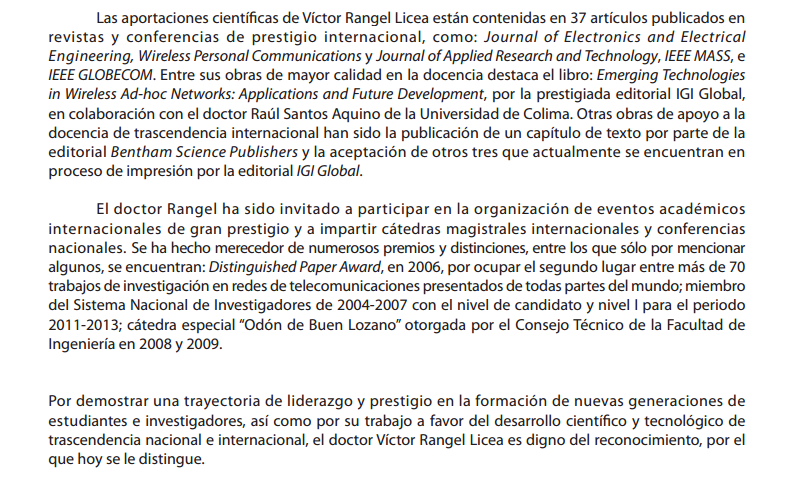 Dr. Rangel has participated in the Technical Program Committee (TPC) and as a reviewer in more than 10 international conferences. 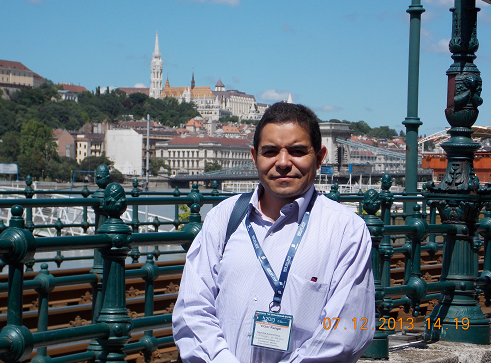 He is a member of the National Research System (SNI).